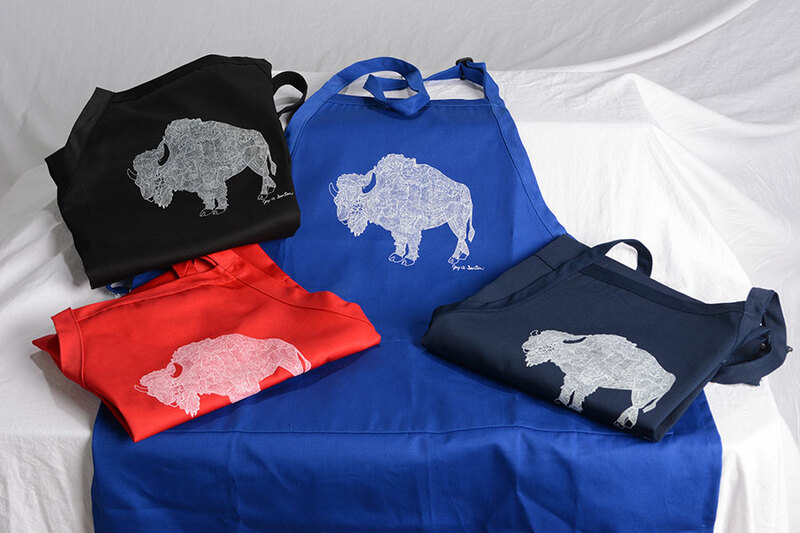 Buffalo Apron available in Blue, Black or Red. Apron is 25" x 34". "One size fits all."